a. the housing loan sanctioned should not exceed Rs.25 lakh. b. the value of the residential house should not exceed Rs.40 lakh. c. the assessee should not own any other residential building on the date of sanction of loan. 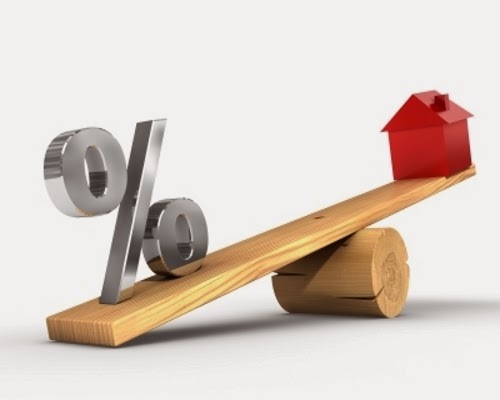 Introduction- Finance Minister inserted a new section 80EE relating to the additional deduction in respect of interest on loan taken for residential house property. Assessee can avail the benefits of this section in two A.Y. 2014-15 & 2015-16.Purpose of this section is to promote house ownership & give a fillip to a number of industries like steel, cement, brick, wood etc. besides jobs to thousands of construction workers. Value of the house should not more than 40 lakh. Loan taken by Individual for the purpose of buy a house should not be more than 25 lakh. For this purpose, loan should be sanctioned between 01.04.13 to 31.03.14. U/s 80EE (4) – Provides that where a deduction under this section is allowed for any interest payable on loan only when deduction shall not be allowed in respect of such interest under any other provisions of the Act for the same or any other assessment year. Quantum of Deduction- Assessee can take deduction u/s 80EE on interest payable on home loan upto 1 Lakh in A.Y.2014-15. It can claim deduction in two assessments year. Means if whole amount of interest payable upto 1 lakh is not claim as deduction in A.Y.2014-15 then remaining balance amount upto 1 lakh can claim in A.Y.2015-16.Total deduction under this section shall not be more than 1 lakh. Where the property has been acquired, constructed, repaired, renewed or reconstruction with borrowed capital, the amount of any interest payable on such capital is deductible under section 24(b), subject to the prescribed conditions. As per Sub Section 4 section 80EE, assessee can avail deduction in respect of interest payable on loan only when assessee does not claim any deduction in respect of such interest in any other provisions of the Act. I propose to allow such home buyers an additional deduction of interest of Rs.100000/- to be claimed in A.Y.2014-15. If the limit is not exhausted, the balance may be claimed in A.Y.2015-16. This deduction will be over and above the deduction of Rs.150000/-allowed for self occupied properties under section 24 of the income tax Act. So as per above explanation there is clash between Sub section 4 of section 80EE and as per announcement under para 132.So according to me assessee may also claim additional deduction U/s 80EE apart from deduction U/s 24. 1) Deduction available to individual only not to other persons. 2) Deemed owner concept does not apply in respect of such deduction. 3) Spouse would not disqualify for relief U/s 80EE in case of residential house purchased in joint names. 4) Assessee can purchase house for both purpose .i.e. it can be for self occupied or can be Non self occupied. 5) Interest includes “any service fee or other charges in respect of money borrowed or processing fees”. 6) Date of make application to loan irrelevant but date of sanction of loan is relevant.